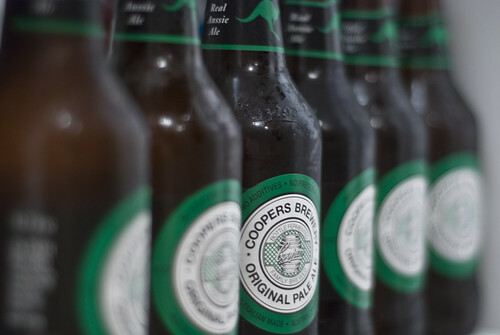 It’s Australian (for) Beer (30/365) – Annoyingly Boring? The Coopers was chilling for the Australian Football League Grand Final. Every year I stay up late and watch the Aussies’ Super Bowl. The AFL Grand Final. I love the sport, part of my inexplicable affinity for things Australian. To go along with the game you need some good Aussie beer. Where’s the Fosters you may ask… Next time you are in your local bottle shop (Aussie’s call liquor stores bottle shops) take a look at Fosters and take a look at where it’s brewed.